This old workhorse is John’s Selmer Zodiac Twin Thirty. Now restored to working order, the Zodiac can be enjoyed fully. 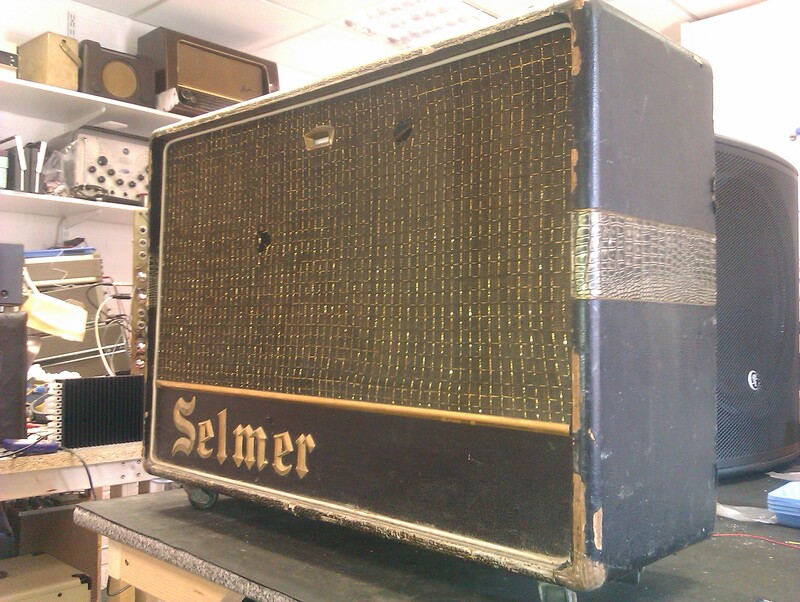 The amp has a lovely rich tone, a bit like an AC30, but with more clean headroom. The tremelo, which features a blinking “magic eye” (so that you can judge the speed of tremelo in case your ears let you down..), sounds great. It’s very smooth, with no thumping & minimal volume drop. Very cool!